I have updated the Google Forms with Images Script. It should now work with the new forms. You no longer need to make a copy of my template - you can add images to existing forms. The initial setup is the same. You should only have to complete steps 1 through 3 once. If have used a previous version of this script and already have a public GFWI folder, skip to step 4. 2. You need to make this folder public. 3. Inside of GFWI, create a folder called 'img'. (No period or quotes!) This is the folder where you will upload all of your images. An added benefit of this new system is that you can use the same images for multiple forms. 6. That's it! A link to your form with images should appear. 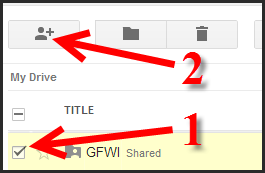 For your records, a spreadsheet called GFWI links will be created inside the GFWI folder. I know the formatting could be better. If anyone who is talented with CSS would like to help me update the script and improve the styling, please let me know. If you need help you can leave a comment here or contact me on Google+. Thanks for the new script. I followed all the instructions but I get an error when I paste the live URL into the link that is provided (step 5). Would you know what is going wrong? I just ran the script and I am now receiving a server error message. I haven't altered the code since Sunday night, so I am not sure what has happened since then. Hopefully this is an issue on the Google side of things, but if it hasn't started working again in a few hours I will try to debug the script and see what is going on. The script should be working now. Thank you for bringing this to my attention. Working indeed. Thanks a lot! I've followed your wonderful tutorial but receive a Bad Request : Error 400 when I've uploaded the live URL and click the link to get my form. When I go back to my GFWI folder, there is a link inside. However the link leads you to the code of my form. Nothing is recognizable unless you are a person that understands code. What is the issue? I'm assuming it is my user error. Hi there - don't feel bad, that file inside your GFWI folder was meant to be read by browser not a human! My best guess is that you have not set the GFWI folder access to public on the web. Take a look at step 2 and make sure you have changed that setting. Please follow up and let me know if that works for you. If not, I will help you figure it out. If I paste the image code in the Title field of the form, I get this error. Perhaps that was troubling Unknown. Also, I want to tweak on the CSS/styling to improve the aesthetics. Shall we give it a try? Hello! The script seems to work for me now, but when I click the "Click here to view the form" link it sends me to my district's Google login page. When I try to log in it says I don't have cookies enabled (which I do.) I am already logged into Google in other browser tabs. Any idea what's causing this? I checked the sharing settings of the GFWI folder and it's set to public. I am thinking that you have one or both of the settings enabled where you require users to sign in or collect their username. Unfortunately those settings are not supported with this script. I am trying to figure out way to make them work and I will let you know if I do. That was it. Perfect now. Thanks so much! The previous page is sending you to https://googledrive.com/host/*********************.html. Sorry about that. My next guess is that this is s browser issue. It seems like this is just a security warning that you are being redirected. Does it give you the option to proceed and visit the https://googledrive.com/host/*********************.html page? Can you copy that link and try it in another browser? How do I make sure I do not have it set up to collect usernames? I have made my link public to the web, and it works for a little bit but then when I go to click it, I get an Error 404: Not Found message. I have followed all of the directions, but I am not sure if my link is set up to collect usernames or not. I don't think the username thing is your problem, that usually gives a cookie error. Is the folder named 'GFWI'? Is there a way to do this while I already have a form created? I am using the google form creator and I tried adding the image, but it only comes up as the words not the image. Thanks for the help. You have to paste your live form url into this webpage. http://goo.gl/RXToK (see step 5 above). It will require you to authorize the script the first time you use it. I believe I have followed all the directions to a "T", however, when I click on the link in step 5, I get the message "Error encountered: an unexpected error occurred" then when I click on the OK button it is a blank screen with "Select a form" in the tab. Any ideas? Are you sure you are pasting the live form url? That is my first guess. If you are sure, let me know and we will try some other things. Maybe you could send me the live form url. and I could try it. I wasn't even getting to the page to paste the URL in. As soon as I clicked on the link in step 5, I would get the error. HOWEVER - When I got home from work, I tried it in IE (which we have at school) and got the same results. I then tried it with Google Chrome - and it worked like a charm! I can now open the form in IE with the generated URL, although it does not have the chosen background. I can live with that. Hopefully, when I get to work tomorrow, it will open on the school computers. Reba, That is good to know, that it doesn't work in IE. I will have to add the to the post. Hi I try this and everything works fine except the image only show the icon instead of the intended image. How do I solve it? Do you have your images in a folder called img that is inside the GFWI folder? Did you include the file extension? Are you sure you typed the file names exactly right? I'm having the same problem. I set up the folders correctly and typed in the file names exactly. I am not sure what to say, the script is still functioning correctly, so there must be some small error in your set up. What type of files are they? jpg, png, gif? It has to be a standard image format. Maybe you could share the form with me and send me the link that isn't working. My email is last name dot first name. Sorry for your trouble. Thanks for working on this and sharing it. It is the one thing our teachers complained about with Google Forms. With that said, I am unable to get things to work. I am using Google Chrome and I have both the GFWI and the IMG folders set up for public view. I paste the URL for the live form as shown and I get a redirect notice page with a link. If I click the link I get an error 404 Not Found. I don't ever get the authentication piece. Is this happening at home and at work. One guess is that you have a firewall/filter that does not like short url's from goo.gl. Here is the direct link. Nope, still get the same 404. I will try it from home this evening just to see what happens. Thank you! I thought I posted this yesterday, but I am not seeing it today. I uninstalled the script and reinstalled it and it is working fine now. Thank you! This is great stuff that teachers can really use! Thank you so much for posting this solution, I never would have thought of it. For anyone else who needs help uninstalling, a quick way to do it is to go to the page where you paste in the link and then edit the url. Just delete the '/exec', and replace it with '/manage/uninstall'. I did it and it works GREAT! My teachers will be very happy to hear about this. Thanks, this seems to be working great for me here. I seem to be having the same problem with the icon showing up. Please help! I'm a teacher using a school district google drive account, could that have something to do with it? I don't know what is happening. Can you post the link so I can see? And this script works just fine with school owned Google accounts. I have also been having problems and keep on getting an error 404. Joshua - I am sorry you have been having trouble. It seems to be working for most people. Maybe you could share you form with me and I could do some testing. Your script does add the image, but lose the CSS connection. The CSS is hosted on https://docs.google.com. Once using google drive to host a html, the html will look for the CSS on https://googledrive.com and lose the connection. That will be great if you are able to fix the link of CSS in your script. Eason - And it was that simple. Thanks for finding that. I changed the script and fixed the css reference in the html file. Please try it again and let me know if it working for you. I tested with my personal and apps account and it worked with both. Dear James, i could add a picture however the css setting is missing. can you advise me how did you make the change? Thank you so much for this! Is there a way to use this form with images in a google site? I tried inserting the html code in an html box- it comes up with little icons for the images, but no image. Let me play around with this next week. I suppose you could use an iframe, but if I modify the code a bit I should be able to create embed code that does not use any relative url's for the image files, and instead uses the full url. I will get back to you - thanks for the suggestion! So thankful I found your site it really saved me in creating my questionnaire on Google, however (this might not really be a problem for your process) I have tried copying and pasting the link onto Facebook and Facebook thinks its spam and rejects it. I have sent a report to Facebook but was wondering if you have any advice on how to go around this problem? Hi - I have no idea why facebook doesn't like it. The domain is googledrive.com - so for whatever facebook may be blocking that. The only suggestion I can think of is to try using a url shortener like goo.gl, tinyurl or bit.ly. But my guess is that facebook's spam filter would still catch it. Another option would be to create a google site or some other web page and then place the link to the form on that page. This would of course require your users to have to click through an extra webpage, which is not ideal. Thanks for this great tool! I can get this to work as a test, however, I am unable to use this with Japanese text on my form. If I add any Japanese characters I get a "Not found Error 404". I'd appreciate a quick look but understand if this cannot be fixed. I have read the following posts but may have missed it, I also received an Error 404. I tried it in google chrome, I reinstalled it and checked to see if everything was public and labeled correctly. I did a practice form, to make sure that I was doing everything right, and it worked. I had my pictures in the list, but when I actually created the form with multiple pictures and questions I got an Error 404 message each time when doing the same steps I took before. Any suggestions? Thanks! I cannot get the script to work properly. After pasting my live form, I receive an error message when I click "Create a Form with Images". The error reads "Error encountered:Document 0B6oaHr_jPKDvMS04MjM1YjhlYS1jNGY3LTQxNDctOGE4NC01YTczZjZkYWI4ZGQ is missing (perhaps it was deleted?)". I have tried several times and keep getting the same error message, although the document name changes each time. Can you help? I've created a form for K-2 students to vote for their favorite book from a reading program. The pictures are visible in the form and voting worked just fine in my tests. My problem is that the "Submit another response" link that appears after a response is recorded links to my original form that is text only, instead of the scripted form that includes images. Is there a way to edit the script so that the "Submit another response" link goes to the scripted form with the images? Thanks so much for sharing directions on how to add images to Google Forms, and thanks in advance for any help you are able to provide with my issue. Thank you for sharing this script. You are too kind to help troubleshoot. I just wanted to add that I was successful at getting my pictures on the form, but when I submit, it automatically goes to the original form with text only like CEdward's does. It then prompts me to answer the question that has the linked pictures before I can submit my form. Hi,James. Don't worry about the "submit another response" issue. I figured a way around it. I unchecked the box "Show link to submit another response" in my form. We will just have students close the page after their vote is submitted, and the next student will click again on the link to open the voting form with images. Barbara, I'm not sure I totally understand your problem. But I wondered if you created a response destination for your data? In the new Google Forms, you have to choose a response destination and create a spreadsheet if that is what you want. The spreadsheet for responses is not created automatically the way it was in the old Google Forms. If you don't create a response destination, the data is saved with the form. Thanks for getting back to me - great idea to just uncheck that box. And thanks for helping troubleshoot Barbara's issue. Brilliant guide, many thanks. I'm having an issue with when adding an imagine, it alters the template of my existing form, is there any way around this? The sorts of things I mean are spacing discrepancies and text box sizes have been shrunk. and by imagine, I mean Image. I've been listening to John Lennon. Nice work; but I've discovered it doesn't play nicely with multiple sign-in. I stay signed in to both my work (apps for education) account, and my personal account. I tried creating the forms via my work account, but the links didn't work; I later found that a GFWI folder had been created in my personal account. Being signed in to only one account works fine. Multiple-sign in does cause a lot of problems. The script should look for at the primary account. You need to have a GFWI folder set as public on that account. This worked wonderfully! Thank you so much! Getting the 404 error, whatever I do after tryring to open the generated link. Are you using the multiple sign in feature? Do use Chrome? I find having multiple user accounts works much better for me - especially if you plan to use Google Drive heavily. Thank you so much for your work on this script. Do you think it will ever be possible to use this with multi-page forms? Thanks for your work and sharing. Is there any good way of do a side-by-side video survey (videos from Youtube links) by google form? Thanks! I've been looking for something like that for more than one year! For vocabulary tests is a great solution. Thanks a lot for sharing! Hi James! Thank you for this. One question: How can I center the image? Any advice would be appreciated. James, thank you for your hard work on this. Yesterday, I had it working great! But suddenly today, it's not working properly. I've tried on multiple browsers and had other folks try on their computer with their accounts. I was hoping to use this today. Any idea what could be up? Hello, I made a multiple choice with pictures for the possible answers too. I create the options (pictures) in Ms.office. I put label on each pic like graph A, graph B, etc, then upload the whole graph as a single picture. Later in options, I just write for option A graph A, option B graph B, etc. It works well with my physics quiz and my students responses are collected perfectly. First off: Writing from Madrid, Spain, many thanks for sharing this script. I can't get the script to work. I made a test form and went through the steps (Folder GFWI is public. img is subfolder). When I click "Click here to view the form" I get a 400 Error. When I view the from in Google I get no images (only the text within the []). In chrome. Not multiple sign-in. Don't know where to remove / re-install script. I can't see the script in my Google Drive. A guess is that the brackets in the title are causing an error. I used ALT-091 and ALT-093 for the brackets (in case it was a spanish keyboard issue). Thanks so much James, really appreciate your help. It works well with my science quizzes. It helps me a lot indeed and I'd like to share this with my fellow teachers in my school.